Entering its sixth local season, the GOLFWEEK Amateur Tour (Philly Metro) announced its 2016 tournament schedule with events between April 30 and October 1. The schedule includes 12 regular season events, including two 2-Day Tour Major tournaments, plus the season-ending Metro Cup. With 47 different Local Tours throughout the country, the GOLFWEEK Amateur Tour is the largest amateur golf tour in America. Tour membership is a “national membership” allowing members to play in any of over 600 tournaments nationwide each season, simply for payment of the individual event fee. Members of the GOLFWEEK Amateur Tour are flighted into one of 5 different Flights (Championship, A, B, C, and D Flights) based upon a tour handicap index; members play only against other golfers with the same skill level. Within each flight, competitors play for the lowest total gross score that day, to win VISA gift-cards and crystal trophies; gift card amounts are based upon the number of competitors in each flight during that week’s tournament. Tour handicaps and flight assignments are closely monitored by the Tour President to ensure a fair competition. In 2016, GOLFWEEK Amateur Tour members will also receive a USGA approved handicap index from US Handicap as part of their membership package. Points are accumulated by GWAT members throughout the season, based upon each player’s gross score in his own flight each week, counting towards qualification for the National Championships in Hilton Head, SC. Each Philly Metro tournament also includes a separate Skins Game, Closest To The Pin competitions on all Par 3 holes, and a 50/50 drawing in support of the GOLFWEEK Amateur Tour’s charity partner, Stand Up 2 Cancer. Some tournaments provide the chance for a scheduled practice round to be played at that week’s venue (for an additional fee) in advance of the actual tournament round. The GOLFWEEK Amateur Tour (Philly Metro) will kick off its sixth season with a return trip to The Ridge At Back Brook in Ringoes, N.J. on Saturday, April 30. The Ridge, opened in 2002 and designed by Tom Fazio, is a private course built in the rolling woodlands of western New Jersey. 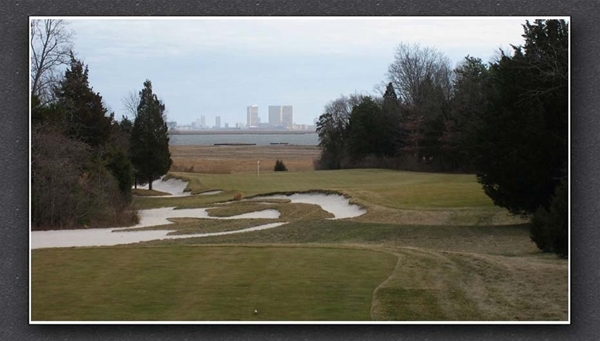 A golf-only facility, The Ridge was named one of the Top 10 private courses in the country, as well as the #1 new private golf course in New Jersey in 2003. Field size is limited, so sign up early if you want to be included for what is sure to be a fantastic season-opening event. The second tournament of the season, on Saturday May 14, takes the tour to Broad Run Golfer’s Club in rural West Chester, Pa. A Rees Jones design which opened for play (as Tattersall) in 2000, it was named the “Best New Course In Pennsylvania” in 2001. Built on an expansive 372 acres, this beautiful golf course blends in naturally with the rugged terrain of the Pennsylvania countryside. Broad Run has a wide variety of challenging holes; some play along valley floors or over ridge tops and others over open rolling land or through heavily wooded areas. Our next tournament, on Saturday May 28, takes the tour to the Fountain Green Golf Course at Fort Dix, N.J. for an event to benefit Operation 1st Response. This charity supports our nation’s Wounded Heroes and their families with personal and financial needs. The tournament price includes a donation that goes directly to the charity. Additional money to benefit Operation 1st Response will be raised through raffles and a silent auction on the day of the tournament. This will be a joint-event with the Metro New York Tour. Our first Two-Day Tour Major of the season takes place June 11-12 in the Pocono Mountains. Day One, on Saturday June 11, is at Great Bear Golf Club in East Stroudsburg, a Jack Nicklaus “signature design” that opened in 1997. The course winds through mature forest and wetlands and challenges players on every hole. Day Two, on Sunday June 12, is at Mount Airy Golf Club in Mount Pocono, a course that replicates some of the greatest golf holes ever built. It is an exciting and fun course from beginning to end. Registered players will be eligible for a special room rate on Saturday night at the newly opened Hampton Inn in Bartonsville, Pa.
On Saturday June 25, we play at tournament at the private Blue Bell Country Club in Blue Bell, Pa. An Arnold Palmer Group “signature design” which opened in 1994, the course winds through development corridors; wetlands come into play throughout the course. This is an extremely challenging layout that will test the skills of every participant. Our next event, on Saturday July 9, is at the private Burlington Country Club in Westhampton, N.J. An Alexander Finley design from 1929, this scenic club is nestled in a country setting, surrounded by horse farms and rolling woodlands. In 2002, Ault & Associates designed and oversaw major renovations to the entire golf course, including the construction of six new greens and a revised layout of the back-nine holes. Water is in play on many of the holes, and accuracy is paramount when hitting approach shots to the small greens. Our second Two-Day Tour Major of the season takes place on Saturday July 23 and Sunday July 24 at the private Radley Run Country Club, in rural West Chester, Pa. The beautiful rolling terrain coupled with two ponds and a meandering stream provide for a challenging round of golf here. Radley Run has just completed a major tee and bunker renovation prior to the 2016 season. Arrangements can be made for overnight accommodations. On Saturday August 6, the tour returns to Pottstown, Pa. for a tournament at the private Brookside Country Club, a William and David Gordon re-design from 1959. The club dates to 1919 and has hosted some of the greatest golfers of their time; in 1921, an exhibition match there pitted Walter Hagen and Sonny Fraser against Harry Vardon and Ted Ray. The course features numerous elevation changes, small greens, streams and wetlands, and a great quartet of Par 3 holes. Our next event, on Saturday August 20, is at Mercer Oaks Golf Course (East), a challenging links-style layout located in West Windsor, N.J. Part of the Mercer County Parks program, the course is always maintained to the highest standards. A 2003 design by Ault & Associates, the golf course features generous fairways, exceptional bunkering and large, contoured greens. On Monday August 29, we return to the Manufacturers Golf & Country Club in Fort Washington, Pa. This historic Flynn & Toomey design dates from 1925. The Sandy Run creek winds through the golf course, providing a constant challenge. The course features many elevation changes, challenging tee shots, and fast putting surfaces. GOLFWEEK Magazine has twice selected Manufacturers G&CC as one of the Top 100 Classic Courses in the USA. We will have the entire club facilities to ourselves for this Monday tournament, which is a joint-event with the Metro New York Tour. Galloway National Golf Club in Galloway, N.J., ranked in the Top 30 private courses in America by GOLFWEEK, will once again host our tour, on Saturday September 10. Architect Tom Fazio meticulously crafted Galloway National’s 7000+ yards out of a 200 acre tract of heavily wooded bayside property near Atlantic City. The course features natural contour changes, tees and greens with breathtaking views, and challenging hazards, as it winds through pine forest, sand and water overlooking the distant Atlantic Ocean. This course is sure to be one of the highlights of the season. The Local Finals will end the season at the private Philmont Country Club (North) in Huntingdon Valley, Pa. on Saturday September 17. This classic Park & Flynn design opened in 1924, and has hosted many USGA qualifiers as well as the Nike (now Web.Com) Tour. The course features some of the fastest green complexes in our area and many challenging holes. It has become a tour member’s favorite, and has hosted us every season. This will be a Tour Major double-points tournament and will determine the 2016 Flight Champions. The Metro Cup will take place on Saturday October 1 on the Palmer Course at the private Forsgate Country Club in Monroe Twp., N.J. This qualification event pits 20 players from both the Philly Metro and Metro New York tours in Ryder Cup style match-play over 27 holes. The Palmer Course, although not overly long, is known for its challenging holes, which require precision shot making over water and around numerous wetlands. Originally designed by Hal Purdy in 1961, the course was re-designed by the Arnold Palmer Group in 1995, and has since been updated by Stephen Kay in 2007. The GOLFWEEK Amateur Tour National Championship will once again head to Hilton Head Island, S.C. from October 21-23. This 54-hole tournament culminates the season and welcomes the top qualifiers from each tour around the country. In 2015, the tournament field included over 900 golfers from 45 tour cities and awarded over $16,000 in gift cards and prizes. "We are truly excited about the upcoming season. Our tournament lineup is impressive; we look forward to playing tournament golf on some of the best private courses the Philly Metro area has to offer" said Brodsky. Visit www.amateurgolftour.net or call the Tour Director at 610-642-7890 to learn how you can become part of the fastest growing amateur tour in our area – The GOLFWEEK Amateur Tour. Wildwood Golf & Country Club - September 9, 2017 "Down The Shore"
Philmont Country Club (North) - Always A Challenge! 2017 Opening Day At The Ridge At Back Brook - Tremendous! Radley Run Country Club 2-Day Tour Major A Summer Sizzler! Radley Run Challenges GWAT Philly Metro Tour A 5th Time! GWAT Philly Metro Returns To Lulu Country Club - Donald Ross Classic! Hartefeld National Local Finals 09-20-14 - A Great Day Of Golf! The Club At Morgan Hill: An Extreme Golf Challenge! Philmont Country Club - June 29, 2013 - A Fantastic Day! Bulle Rock Golf Club - 06-08-13 - "Dye-abolical" In Every Way! Links Golf Club - On The Straight & Narrow!